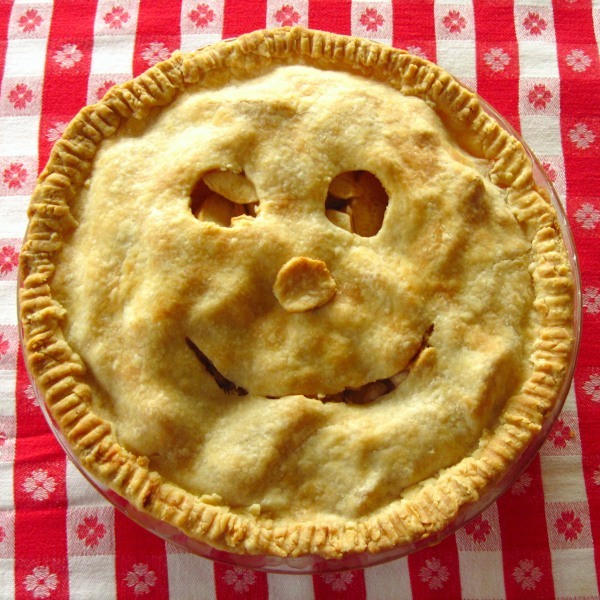 I'm entering an apple pie contest this week on behalf of the Baltimore Orchard Project, a group that harvests fruit in public parks and private homes and distributes it to those in need, so I've been apple pie crazy! Kath's pie really stood out to me not only because of her idea of venting the pie with smiley face cut outs but that it used honey in the filling and olive oil in the crust. I can't say I've seen a honey based apple pie before. It sounds like the perfect pie for honey lovers or to serve on Rosh Hashanah. Olive oil based doughs are not only tasty but they tend to roll out really well; a great choice for a double crust pie. Get the recipe at In the Kitchen with Kath.